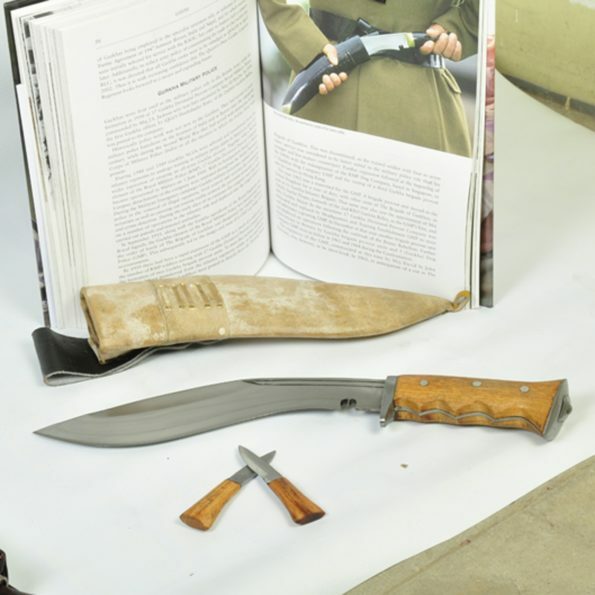 This is a 10 inch Iraqi khukuri with a blocker and gripper handle. This Khukuri has one of the best handles which makes it extremely comfortable to handle. The Grip of the handle is made in such a way that it fights right in the fingers, making it easy to hold the Knife comfortably. This is a replica of famous Khukuri used during the operations in Iraq by the Gurkha’s. It is a full tang blade with triple fuller blade, fixed rosewood handle with 3 rivets and traditional Nepali glue called Laha. The length of the blade is 10 inch and handle is 5 inch, making the overall length 15 inch. 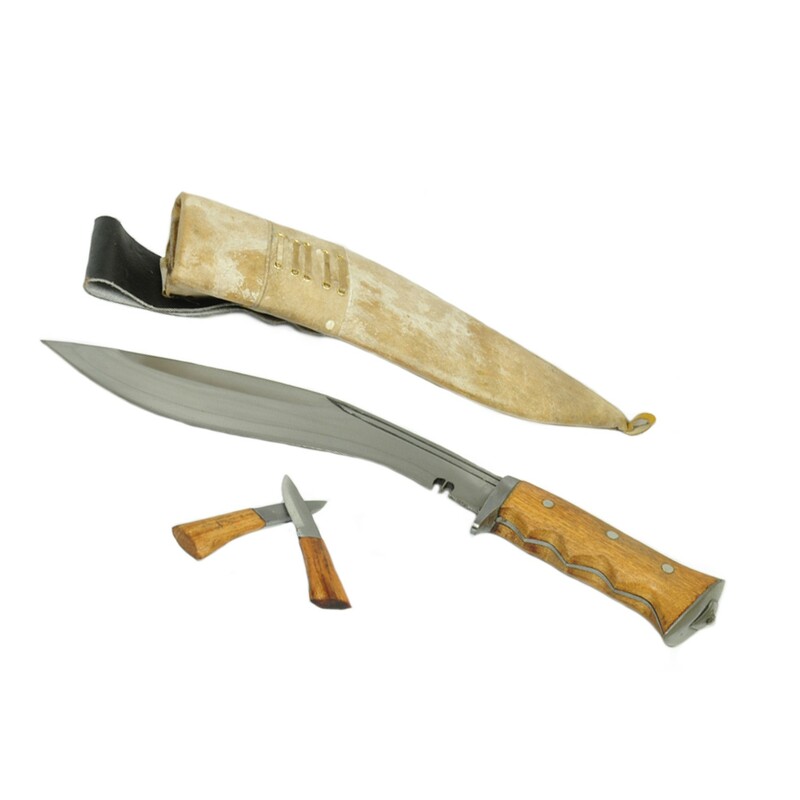 The Khukuri weighs about 750 grams.The Khukuri comes with two small accessory blades which are used for polishing and sharpening along with a water buffalo and pinewood scabbard. Blade Size and Type: 10 inch (25.40cm) Handmade and Unpolished blade. Handle Size: 5 Inches (12.70cm) full tang Gripper & Blocker handle Indian Rosewood.